Members of the Buckinghamshire Bird Club again converged on Gibraltar Point Nature Reserve for the annual residential weekend. The group of 23 were accommodated in the Field Study Centre, which also provided all of the food for the weekend. The weekend is ideal for mixing sea-watching with viewing waders, raptors as well as general birding. The weather did not produce ideal conditions for finding plenty of migrant birds, but we did manage 119 species in and around the reserve. 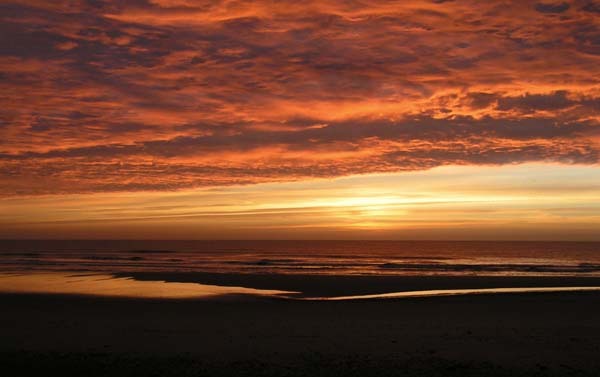 Those that stayed in bed on Saturday morning missed this superb sunrise. Sea watching at dawn. One of the closer Arctic Skuas is shown below. 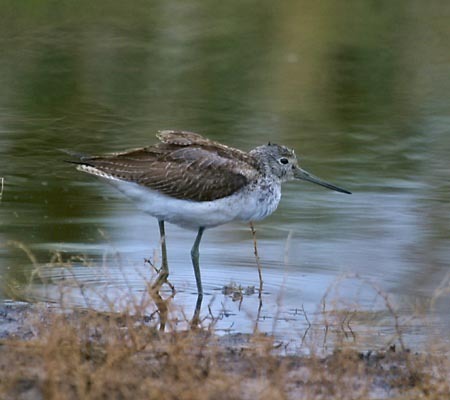 The Long-billed Dowitcher was not exactly unexpected as it has been present since 5th July 2004. It did provide a UK tick for quite a few members of the group. 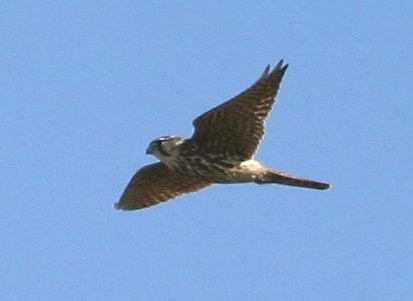 Unfortunately it was rather distant and the above record shots are the best we could get. This Short-eared Owl was seen hunting close to the observatory on several occasions and will be one of the highlights of the weekend for many people. It perched and hunted at very close range in excellent light conditions and allowed Adrian Parker to get several superb flight shots of this fantastic bird. To see these photos click here or on the photo. 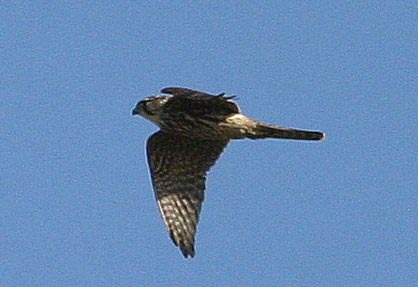 Merlins were seen hunting on several occasions, usually along the beach where it was hunting small waders. Indeed on one occasion it was successful and the wader (probably Dunlin or Sanderling) was heard screaming as it flew off with it in it's talons. 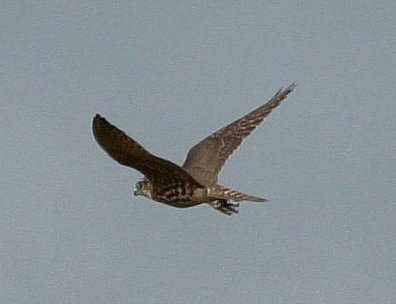 The last picture just shows the latest victim (a Meadow Pipit) as it flew off in search of somewhere to eat it. Tree Sparrows have colonised Gibraltar Point in the last year or so and bred on the reserve this year. In all of our previous visits this species had never been seen before. We were fortunate to be able to see them in the garden of the residential centre as they used the feeders. At least 8 were present. This Greenshank frequented a small pool by the road. 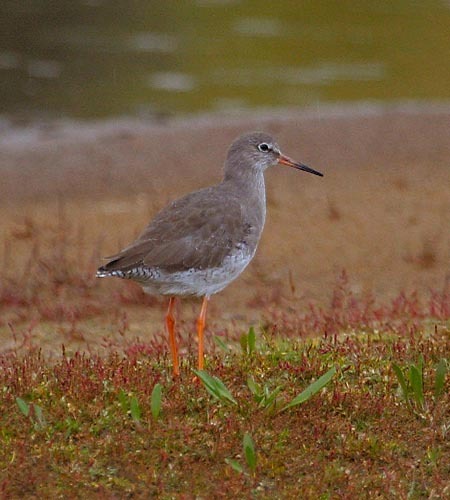 Redshanks were seen at various sites across the reserve. This was taken on the Lagoon. Normally one of the most numerous waders at Gibraltar Point, but this year there were relatively few Oystercatchers. Parties of up to 20 Black-tailed Godwits were seen from Jackon's Marsh hide. 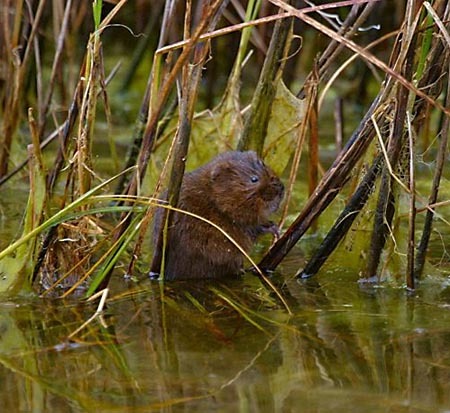 This Water Vole was regularly seen on a small pool and was almost oblivious to the presence of birders within a few feet. This rather large Grass Snake was seen hunting from the Mere hide while we were looking for an elusive Jack Snipe. A possible Franklin's or Laughing Gull which was seen very distantly on the Friday afternoon seawatch. Having thought we had heard the last of it, we were interested to hear that a probable Franklin's was reported about 20 miles to the north later that day and the following day. 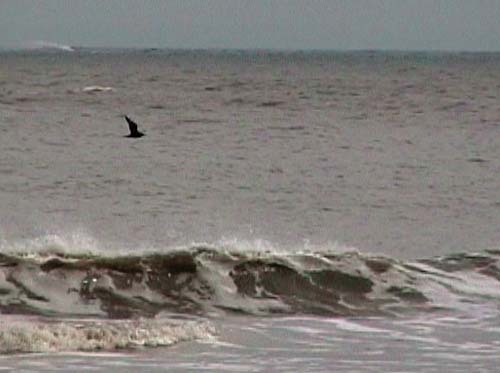 A Peregrine Falcon chasing down an Arctic Skua over the sea. It did not catch the Skua (unfortunately) but did put on a superb display of it's flying skills. Arctic Skuas - Over 30 birds were seen over the weekend, with the best numbers seen on the Friday afternoon. A Jack Snipe that was seen by some members of the group at very close range.